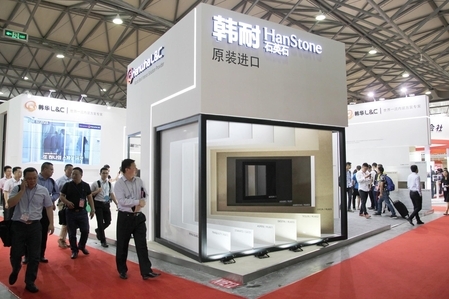 Hyundai L&C participated in the biggest kitchen, bathroom exhibition in Asia which is held in Shanghai, China. KBC is the world’s largest kitchen and bathroom exhibition with over 10,000 visitors. 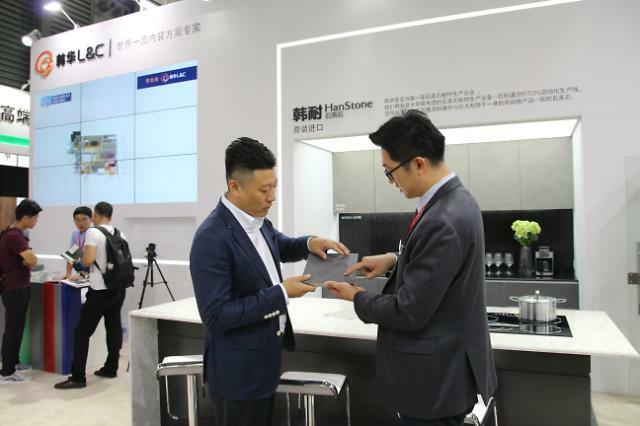 Hyundai L&C introduced new products that can be used in kitchen and bathroom at Kitchen & Bath China, KBC, in Shanghai New International Expo Centre from 31, May to 3rd, June. It exhibited 20 kinds of Hanstone, 8 kinds of acrylic solid surfaces ‘Hanex’, 20 kinds of ‘PET deco sheet’ and interior film ‘Bodaq’. The theme of this exhibition was ‘Less, but Better’. Hyundai L&C, which has been actively participating in global exhibitions held in China, Australia, and Germany for the past three months, is concentrating on global marketing visiting China again.